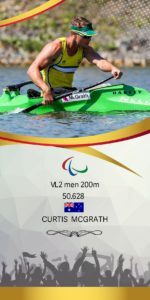 Australia’s Rio 2016 Paralympic medallists will be in action in full force at the 2018 ICF Paracanoe World Championships with racing starting in Portugal on Wednesday. 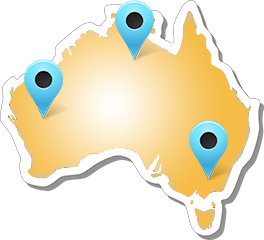 Australia’s medal winning Paralympics trio and reigning World Champions of Curtis McGrath (QLD), Amanda Reynolds (VIC) and Susan Seipel (QLD) are all part of this year’s World Championships team and will be looking to defend their 2017 titles. 18-year old Paralympian Dylan Littlehales (NSW), who won bronze in the men’s KL3 200 at the World Cup in May, completes the team. 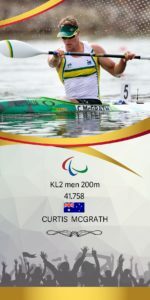 in the men’s KL2 200 as well as in VL3 200 as the team continues to plan ahead for a possible second event at the 2020 Paralympics in Tokyo following the inclusion of the va’a (outrigger canoe) category on the program. “I had this weird feeling in Rio, when I finished and got off the water. You train so hard, and you are so prepared, and then it’s over in about 40 seconds, so you really don’t feel like you’ve committed yourself, or that you could have done more, McGrath said. The 30-year old is a two-time world champion in the KL2 and four-time VL2 world champion and comes to Portugal after winning both the KL2 as well as the VL3 at the only world cup of this season in Szeged, Hungary in May. McGrath races the VL3 after a reclassification this season. In his Rio 2018 gold medal event, the men’s KL2, McGrath and Austria’s Rio silver medallist Markus Swoboda will renew their rivalry in Portugal, and will also cross swords in the VL3. “The goal is definitely to defend the World title I managed to get last year, which will be first and foremost. But doing a PB would be a good achievement for myself,” McGrath said. The World Championships will be the first international event of the 2018 season for Rio 2016 silver medallist Amanda Reynolds, who had to deal with a wrist injury, but is happy how the recovery went. “Preparations have been going really well. We’ve had a couple of hiccups over the past few months, but it’s stepping up now which is good. The World Championships will also mark ‘two years to go’ to the Tokyo 2020 Paralympic Games and the 2017 K1 200 KL3 World Champion is excited about the things to come. 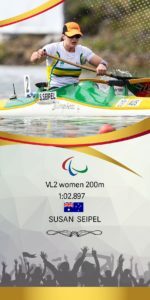 Rio 2016 bronze medallist in the KL2 200 Susan Seipel will be contesting both the KL2 as well as the VL2. Seipel is the defending World Champion in the VL2 and won a bronze medal at the 2018 World Cup in Szeged, Hungary in the event. 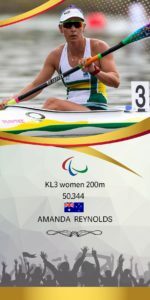 The women’s VL2 is set to be one of the races of this week’s championships with British duo Jeanette Chippington and Emma Wiggs, both multiple world champions as well as Paralympic gold medallists, lining up against Seipel. Athletes from more than 30 nations will contest this year’s ICF Paracanoe World Championships, which begin at Montemor-o-Velho on Wednesday and will conclude on Saturday (22 – 25 August 2018). 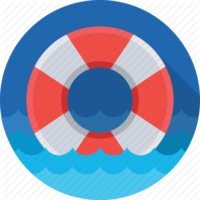 The Olympic events start on Thursday and wrap up on Sunday (23 – 26 August 2018).